Welcome to the Cutter Chrysler Fiat of Honolulu Parts Department. We look forward to assisting you with all your parts needs. Whether you are looking for parts to repair your vehicle or accessories to dress up your vehicle with genuine Mopar parts, we are your number 1 source. Our parts advisors are Chrysler Certified and are ready to work with you to find the correct part or accessory for your vehicle. We are also the only authorized Fiat dealer in Hawaii. If you need parts or accessories for your Fiat vehicle, we are here to assist you. Realize huge savings when ordering through our eCommerce website. Just click on the “parts catalog” in the parts section of the website, enter your Vehicle Identification Number and begin searching for your parts and accessories. 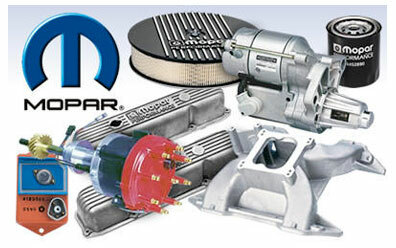 If you have your vehicle at an Independent Repair Facility, insist on genuine Mopar parts for your vehicle. Mopar parts purchased through Cutter Chrysler Fiat of Honolulu carries a nation-wide 12 month/ unlimited mile warranty for Mopar part exchange. We also offer hot shot delivery to Independent Repair Facilities so that you can get your vehicle back on the road quickly. If your vehicle has the misfortune to be in an accident, ask your body shop to use genuine Mopar collision parts. Mopar ’s collision parts are made designed and engineered specifically for your vehicle and using aftermarket collision parts may negatively affect the structural integrity of your vehicle. Click on the link below to read Mopar’s collision statement. Mopar collision parts also carry a Limited Lifetime Warranty for defects in material and workmanship for as long as the original purchaser owns the vehicle. Cutter Chrysler Fiat of Honolulu stocks the largest inventory of collision parts in Hawaii and have multiple deliveries to Auto Body shop every day. This is to ensure that your vehicle is repaired and back on the road with a minimal loss of time and convenience.